HOUSTON, Texas, Mar 04, 2019 (SEND2PRESS NEWSWIRE) -- EPIC Insurance Brokers and Consultants, a retail property, casualty insurance brokerage and employee benefits consultant, announced today that it will sponsor the International Supply Chain Protection Organization (ISCPO) Annual Conference on Wednesday, March 6 and Thursday, March 7 at the 7-Eleven Store Support Center in Irving, Texas. 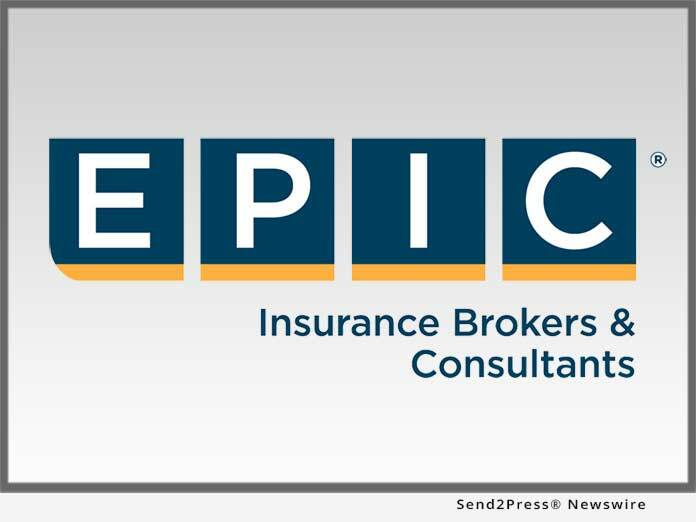 Practice Leader Walter Palmer and Vice President of Risk Assurance Kevin Ach will attend the event on behalf of EPIC's Integrated Risk Solutions Practice, a team of risk assurance and asset protection professionals that bring a comprehensive perspective to building strategic initiatives. By offering a fully integrated solution to clients, the team helps bridge the gap between operational and financial risk, implementing holistic strategies for companies seeking an enterprise total risk solution. The International Supply Chain Protection Organization (ISCPO) is a non-profit professional organization that connects members from across a wide array of sectors - from manufacturing, retail/wholesale/eCommerce and distribution, to risk management/legal, law enforcement and logistics. Its goal is to promote, educate and advocate supply chain security and protection through building strong networks and delivering exceptional training, board representation and industry support. The ISCPO Annual Conference is a jam-packed two days of networking, education and collaboration. Speakers will discuss a wide range of topics related to global supply chain security, industry trends and investigations. This year's theme, "The Evolution of Ecommerce Security" is a relevant topic that's transforming the industry on many levels. Attendees will stay ahead of the Ecommerce revolution, learn to manage risk across all supply chain channels and bring best practices back to their company.